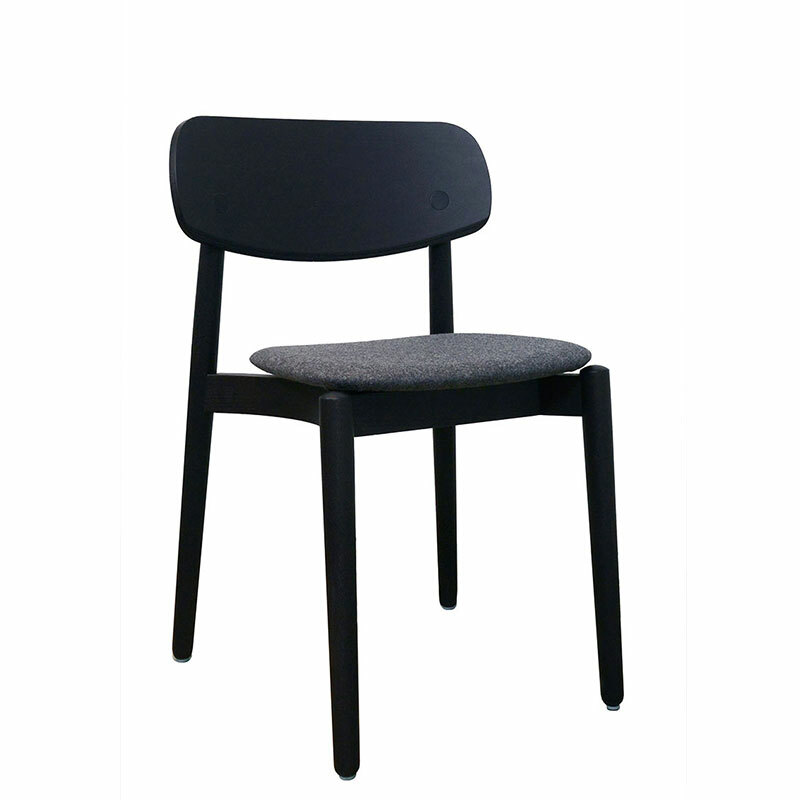 Fizz stackable chair,with beech or oak timber frame;seating with multi-ply veneered or fabric or leather upholstery. Single colour or dual colour options available in stained or coated finishings. Stackable up to 6 chairs.